The union representing workers at hospitals across the province is putting pressure on those hospitals to address workplace violence. Physical, verbal and sexual violence is a growing problem at hospitals, including Health Science North in Sudbury. Most people expect a hospital to be a safe place. 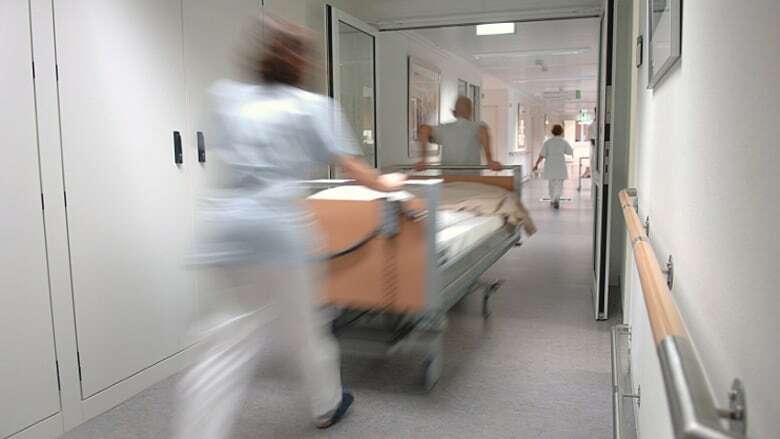 But physical, verbal and sexual assault is a growing problem in Ontario hospitals, according to the Canadian Union of Public Employees (CUPE). The union has begun a campaign against workplace violence, since the problem has become a regular part of the job for many hospital staff. "It's not right, it shouldn't be part of the job. We should be like everybody else in Ontario [who] goes to work [and] doesn't have to expect some kind of violence," says Dave Shelefontiuk, president of the CUPE local in Sudbury, Ont. The union represents 1,200 staff at Health Sciences North (HSN), the hospital in Sudbury. The majority of incidents at HSN are physical and verbal threats, or disorderly conduct, says David McNeil, vice president of Patient Services. He adds that workplace violence is a significant problem throughout the health care field. "It's an issue that particularly in hospitals across the province is a problem," says McNeil. He blames the growing demand for health care. "While we're implementing strategies and processes, the volume of patients is growing within health care, and the demands for health care are growing. We're seeing way more patients than we did five years ago." Violence continues to be a problem, despite policies and strategies for prevention says McNeil. At HSN, hospital officials have implemented policies on reporting and how staff can protect themselves. McNeil says they are also providing education on how to recognize potential violence and how to react. "We work very closely with our joint occupational health and safety committee, which does have both employee representatives from the union perspective, as well as other volunteer employees." When there is an incident, that committee reviews the details and data to try to determine ways to prevent similar events in the future. There isn't one single solution, admits McNeil. Rather, he says there needs to be community-led efforts to discourage violence in hospitals. "I think there are things that can happen within the community and broader society that make it unacceptable to come into health care facilities to be violent," says McNeil. Although the hospital has made an effort to address the issue through its health and safety committee, Shelefontiuk says more still needs to be done. "We know it's going to be baby steps. We don't expect to go from 10 per cent of workplace violence to zero," Shelefontiuk says. The union's campaign against workplace violence will include releasing the results of an internal poll on workplace violence in the coming weeks. Meanwhile, contract negotiations between CUPE's Ontario Council of Hospital Unions (OCHU) and the Ontario Hospital Association stalled last week. The union says OHA is refusing to work together to tackle the workplace violence issue. The two sides had been in bargaining since June for a new collective agreement for the 27,000 hospital staff across Ontario. CUPE wants all health care workers to be able to speak up about the violence they experience, without being reprimanded for doing so, says Sudbury's Sharon Richer, OCHU's secretary-treasurer. "Nurses being sexually assaulted by patients touching them inappropriately, being yelled at ... we've had nurses that currently are off and will never be able to return to work because they've been beaten so badly," Richer says. That violence could come from the patients, but it may also come from the patients' loved ones Richer says. In a statement to CBC, the OHA says it takes concerns about workplace violence very seriously, and will continue to work with the government and other organizations to ensure its hospitals are safe.